HAPPY MONDAY, I am back in switzerland, back to winter and unfortunately back to fasnacht, that started today and will go on for the next three days.. fasnacht is the swiss version of carneval and in basel it started this morning at 4 AM and ends on wednesday night. 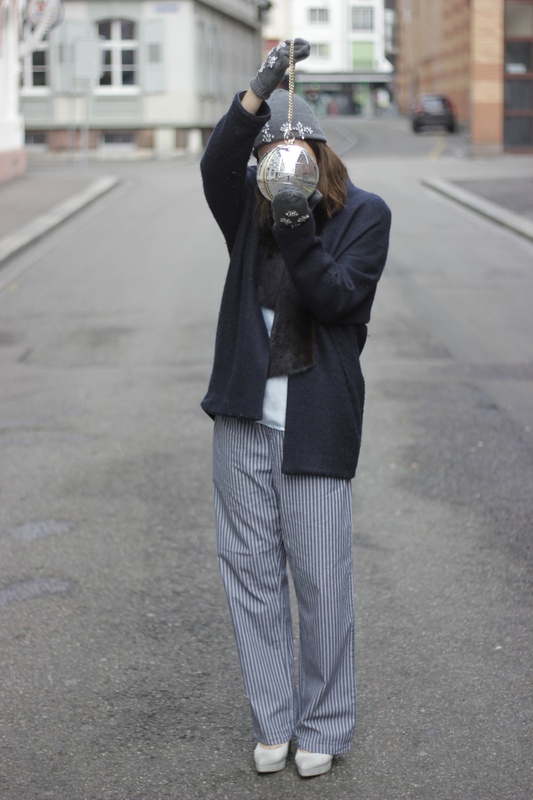 I am not thrilled about that and I absolutely miss the californian weather.. anyway, I feel like showing you another outfit inspiration wearing some striped pyjama-ish pants and layers of comfy materials. 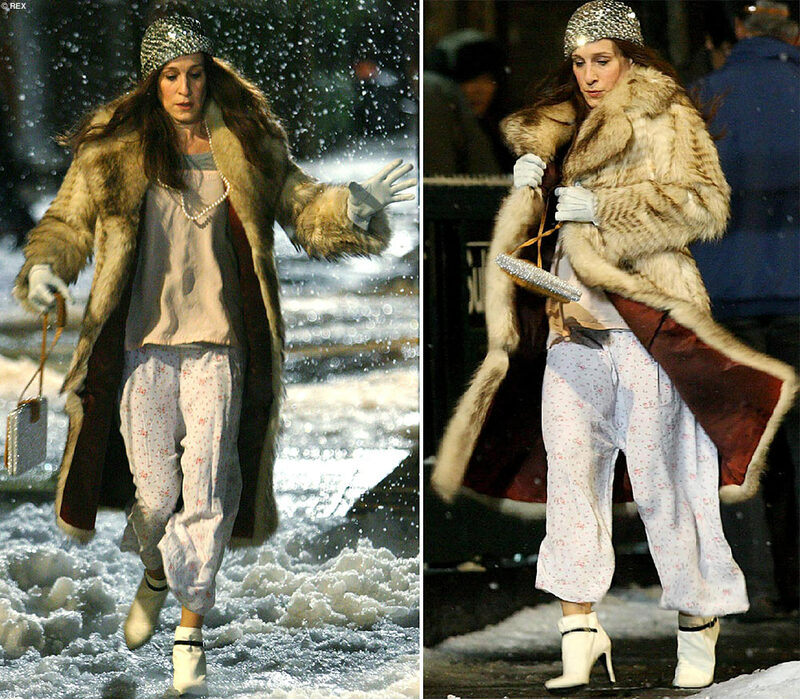 so I threw together a nice mix of comfy winter clothes and bling bling pieces and created this chic Pyjama look inspired by Carrie Bradshaws new years eve outfit from SATC movie 1. I saw so many cool looks with pyjama pants or tops and I just wanted to show you my own take on it. I would wear this on a cold weekend day or home office day as the outfit is very comfy and the different materials like silk, cashmere, cotton and wool help a lot to warm me up and keep me cosy. 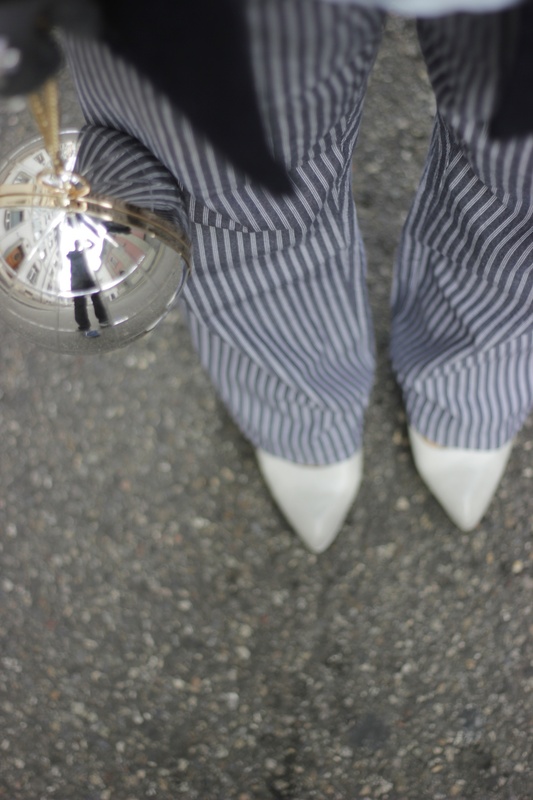 also I love the extremes of wearing PJ pants with bling bling accessories another mix and match example to make your wardrobe more versatile.